The Boeing 737 Max jet that has been linked to two deadly crashes failed to include two safety functions in its standard model, features that cost extra for airlines that bought the planes. An angle of attack indicator, or two exterior sensors that tell pilots the angle of their plane, was one of the two safety features that came at an additional cost to airlines. The other, a disagreement alert, would then warn those in the cockpit whether the sensors were providing conflicting information. The standard-issue Boeing 737 Max jet featured only one sensor. Tom Anthony, a former Federal Aviation Administration inspector, told NBC News that the sensors may have saved the 189 people killed in the Lion Air flight that crashed in Indonesia in October. Investigators believe the Lion Air flight had a single, faulty, sensor that provided bad data to the plane's computer and put it into a nose dive. "Had the pilots had the AOA disagreement sensor and the training as to how to respond to a light on that sensor, they would have been able to manipulate their way out of this situation," Anthony told NBC News. Boeing's practice of selling these safety features at extra cost was first reported by The New York Times. 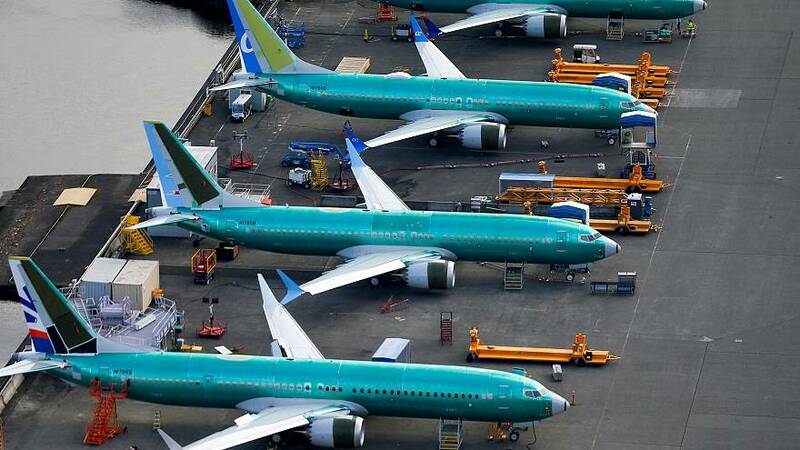 The aircraft manufacturer said the safety features will become standard on the planes and included in a software update that is expected to correct issues with the 737 Max jets. The Federal Aviation Administration said Wednesday that its review of a possible software fix for the grounded airplanes is "an agency priority." The FAA grounded all Boeing 737 Max and 737 Max 9 jets days after the planes were linked to a second deadly crash on March 10. A doomed Ethiopian Airlines flight went down shortly after takeoff in Addis Ababa, killing all 157 passengers. French investigators who have extracted data from the Ethiopian Airlines jet's black boxes said they detected "clear similarities" between it and the doomed Lion Air flight. The NTSB confirmed Thursday that it will join international inspectors in analyzing the cockpit voice recorder and flight data recorder on the Ethiopia Airlines flight. The U.S. agency will join a team of experts from Ethiopia's Ministry of Transport, France's Air Accident Investigation Agency (BEA) and the European Union Aviation Safety Agency (EASA). France's BEA said in a statement on Thursday that it was sending three experts to Ethiopia to work "in coordination with all stakeholders" in the crash investigation.